Bulk Mailer is the best email marketing software created to design, send and monitor bulk messages. Bulk Mailer makes it possible to control the effectiveness of your email campaign – it enables you to monitor who, when and where (from what country) opens your email. 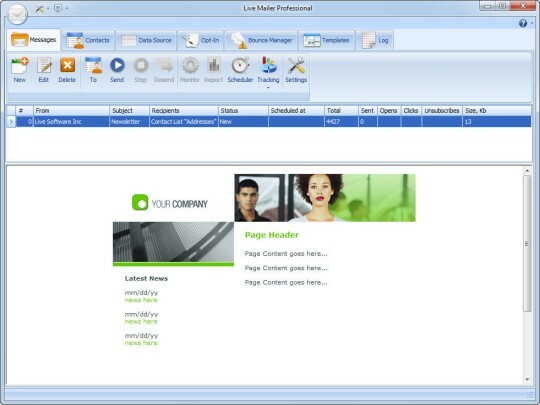 With mass email software it becomes easy to manage your contacts lists and create personalized HTML messages. 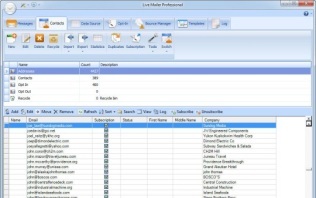 This program is indispensable for those who run bulk email campaigns. With its powerful features bulk email software yields spectacular results and beats your business rivals. 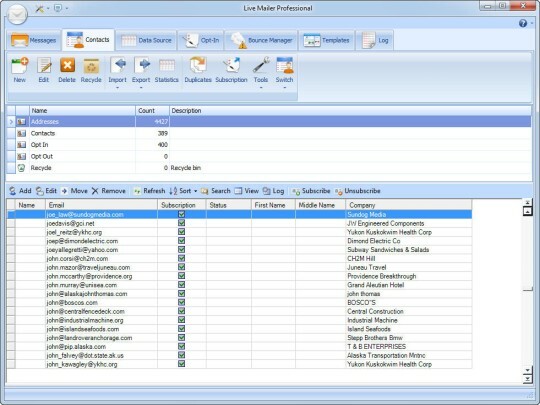 Bulk Mailer accepts mailing lists generated in Access, Excel, DBF, Word, made in ASCII text files (.txt, .lst). It should be mentioned that it is possible to enter an unlimited number of email addresses. Bulk Mailer provides you with an extremely flexible sending engine. The program uses a so-called "direct" sending mode. That means that the message is sent directly to the recipients’ mail server. This technology speeds up significantly the message sending process. With bulk email sender it becomes easy to create personalized HTML messages. 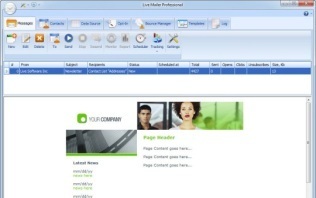 The HTML editor features flash, image and attachment capabilities. There is no need to select and manually enter email addresses you want to send to. This bulk mailing program decreases time consuming, so you can spend your time doing other important tasks. Being a multifunctional program, Bulk Mailer provides with such options as mail merge and high personalization, bounce manager, scheduler, custom opt-in forms which can be placed into your website or newsletter, easy backup and restore options.